In 1971 I was a 19-year-old sailor stationed on the aircraft carrier USS Kitty Hawk, which was home-ported in San Diego, California after a nearly year-long deployment to Southeast Asia and combat operations off the coast of Vietnam. I was a "short-timer," eagerly awaiting my separation from the U.S. Navy when I and a couple of friends from the ship went to a movie theater in San Diego to see Sean Connery as James Bond in Diamonds Are Forever. Considering that George Lazenby had never acted before and he had the dubious honor of replacing Connery, I thought he had done a fine job as James Bond in the previous film, On Her Majesty's Secret Service. But I was pleased that Connery was back as Bond in the new film. 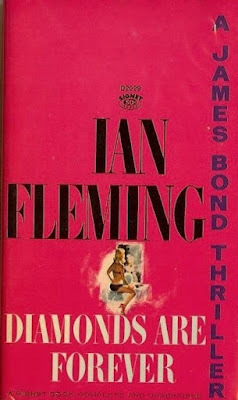 Prior to seeing the film, I had read the novel, as well as all of Ian Fleming's novels, as I've been a Fleming aficionado since my early teens. I came away disappointed in the film, as it was not faithful to Fleming's novel, as On Her Majesty's Secret Service had been. The producers made Diamonds Are Forever as an action-comedy rather than a thriller, and this led the way for the lighthearted and amusing Roger Moore-Bond films that followed throughout the 1970's and into the 1980's. In Fleming's novel Diamonds Are Forever James Bond is pitted against American organized crime. From London, Bond goes undercover as a diamond smuggler and he encounters American mobsters in New York and later in Las Vegas. 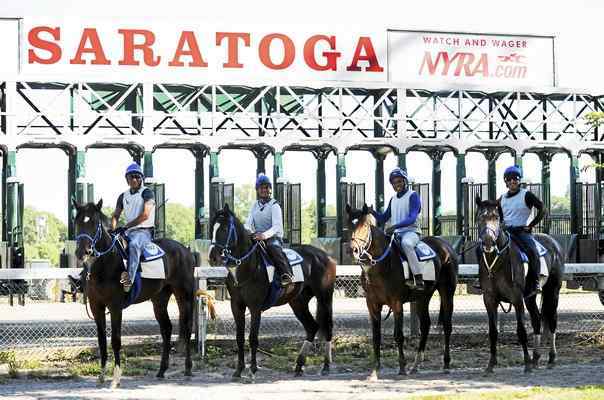 And in between Bond visits Saratoga Springs, where the mob has arranged to pay off Bond via a crooked horse race. 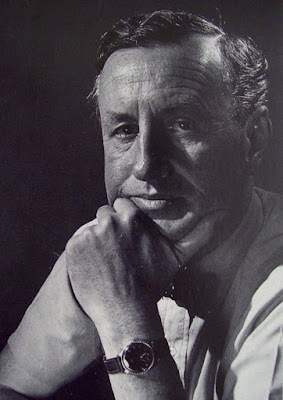 Fleming's novel was influenced by Senator Estes Kefauver's committee hearings on organized crime in America. The hearings were televised in the early 1950's and America and the world got to see American gangsters such as Tony Accardo, the mob boss of Chicago who once worked for Al Capone, Frank Costello, known as the New York "Prime Minister of Crime," Meyer Lansky, and a sultry Virginia Hill, the former girlfriend of Ben "Bugsy" Siegal. In Saratoga Springs Fleming captured the atmosphere of the race track, the gambling fever that surrounds horse racing, and the presence and influence of organized crime. I recall vividly the brutal scene in the mud baths where the crooked jockey is tortured by mobsters. I thought this was a great passage in a great thriller, and Raymond Chandler, perhaps our greatest crime novelist, agreed. Unfortunately, the film didn't use any of this material. Perhaps one day the Bond producers will remake Diamonds Are Forever as a thriller and use Fleming's Saratoga Springs story. All of this came to mind when I happened to come across a piece in the Saratogian (a newspaper Bond read in the novel) that covers Fleming's 1954 visit to Saratoga Springs to research his novel. The piece is also about a thoroughbred horse trainer by the name of H. James Bond. The film Diamonds Are Forever is well-made and amusing, but if you're interested in a great thriller, I suggest you read Fleming's novel.